Searching for a German Shepherd? The German Shepherd is an intelligent, direct and fearless working dog. Originally bred as a herding dog, this large-sized dog has found its field in police and rescue work. It is an extremely versatile and hardworking dog, a natural protector. Since it requires an active lifestyle, physically and mentally stimulating activities are necessary. Early training is also needed. Owning a German Shepherd requires a higher level of commitment, so make sure you’re ready to do that before getting one. Are you thinking of getting a German Shepherd? Here is a brief background of this popular shepherd dog often used for police and military service. The German Shepherd originated in the 1800s as part of the Continental Shepherd dog found in northern Europe. In 1890, the sheepdog was divided into three separate breeds: Belgian Shepherd, Dutch Shepherd and German Shepherd. In Germany, the Phylax Society tried to standardize the German Shepherd in 1891 but disbanded for differences in principles. Some members wanted them to be bred solely for working purposes, while others wanted breeding to focus on appearance. When Germany became highly industrialised, shepherd dogs became unnecessary. Max von Stephanitz, a former member of the Phylax Society tried to preserve the breed, focusing on its great working abilities. In 1899, he bought a high quality German Shepherd named Hektor who was very beautiful, intelligent and loyal. Hektor, a product of long generations of selective breeding, became the main point of the breeding programs of German Shepherds. He founded the Verein für Deutsche Schäferhunde (Society of the German Shepherd Dog). Hektor, changed to Horand von Grafrath, was declared the first German Shepherd and became the first member of the society. The breed has become a trusted working dog that assisted the police and army. The German Shepherd is a powerful and well-muscled canine often seen as a police or military dog. It weighs between 75 to 95 pounds, and stands 55 to 65 centimetres at the withers. It has a clean-cut head with a domed forehead, square-cut muzzle, big, erect ears, and a strongly developed jaw. Based on the Kennel Club standards, German Shepherds come in two types of weather-resistant double coats. The first type has a straight, close-lying hair and dense outer coat, and a thick undercoat. The second type has a longer outer coat that could sometimes be wavy, which does not lie close or flat to the body, and a thick undercoat. It comes in its distinguishable colours of black with tan or gold, as well as all black and all grey. German Shepherds are heavy shedders, which is why brushing two to three times a week is a must. The breed is fairly clean so bathing can be done a few times a year or as needed. Other than caring for your dog’s coat, do not also forget to trim nails regularly, clean ears and check for fleas. Oral hygiene, as well, is an important aspect of dog ownership which is sometimes overlooked. Poor oral care will lead to your dog getting gum disease and bad breath. Make sure to brush at least twice or three times a week. Buy chew bones/toys appropriate for German Shepherds which your pet can enjoy. The German Shepherd is an active, intelligent, loyal, and courageous dog. It is self-assured and it is not nervous or overaggressive. It is a challenging dog that is not recommended for new owners with a meek personality. It can be reserved and suspicious of strangers and making friends with this breed is not easy. However, when it warms up with you, it can be a devoted friend. It is protective towards its family, making it an effective watch dog. German Shepherds can be great with kids especially if they are raised together. Nonetheless, it is not advisable for small and unruly kids as it could accidentally hurt them due to its large size. Same goes with other household pets. It can do well when other dogs and pets have been introduced while it is a puppy. Introducing a new pet to an adult German Shepherd is not a good idea when it is not used to other animals. This breed is one of the most intelligent dogs in the world. As a versatile working dog, it can be trained for military service, search and rescue assistance, and drug and bomb detection. It can also be used to assist the handicapped and be a loyal companion. As a family pet, training should begin as early as eight weeks old. Sessions should focus on basic canine manners and socialisation with people and dogs so will become a well-rounded pet. However, like humans, each breed is unique in terms of temperament and intelligence. Regardless if dogs are the same breed, their genetics, the environment they were raised in, and their training, play a significant role in developing their personality and skills. 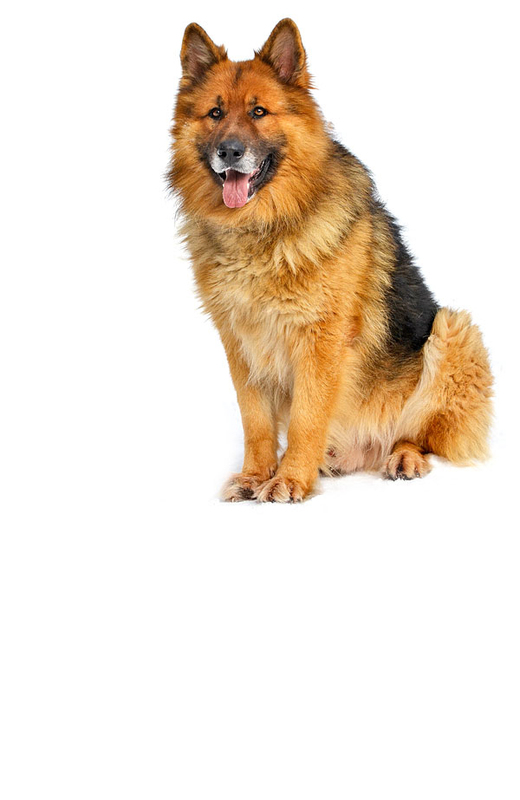 A typical serving for an adult German Shepherd is 3 to 4 cups of excellent quality dry dog food per day. It is worth knowing that since this breed has high energy needs, they also have high nutrient requirements. This being said, the amount and frequency still depend on age, size, build, activity level, metabolism, and other factors. You have to consider its needs as a breed but also make sure you learn about its individual requirements too. As active dogs, Germans need more protein and less carbohydrates in their diet. This helps build muscles and supports their daily activity needs. Experts of the breed believe that German Shepherds thrive on a diet rich in beef. Since the breed has shorter colons, they have difficulty absorbing all the nutrients from their food. This is the reason why you should always include lots of fibre in their diets like leafy greens. They also do well on barley, oats and other wheat-based carbs. Try to avoid fish, rice and soy. Healthy fats for a beautiful coat can come from plant-based sources like flax seeds. German Shepherds are generally healthy but predisposed to certain medical conditions. 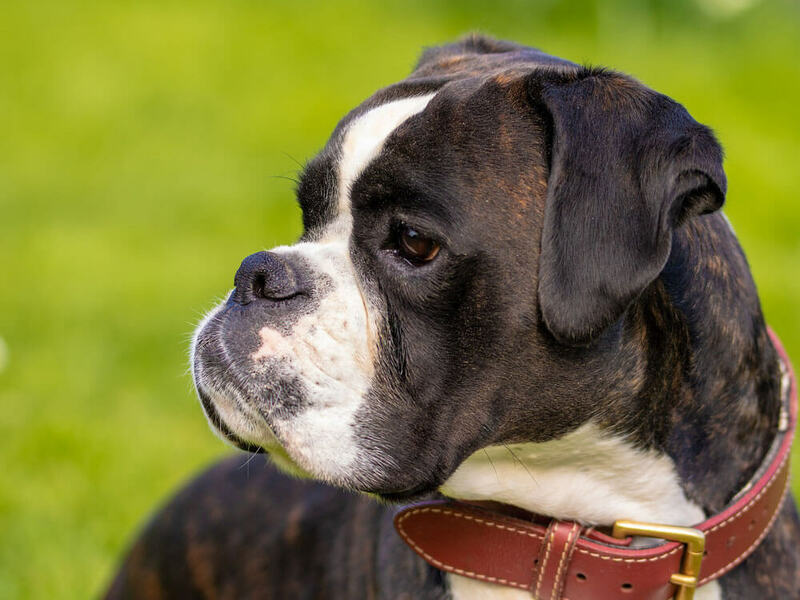 They usually suffer from Hip and Elbow Dysplasias, Degenerative Myelopathy, Exocrine Pancreatic Insufficiency, Gastric Dilatation-Volvulus or bloat, and allergies. As an extremely active dog, German Shepherds need a lot of physical and mental activities daily. It should spend at least two hours running, playing Frisbee, and doing agility and obedience trainings. When its activity needs are not met, it will find ways to burn its energy such as chewing and barking. It should also not be left for long periods to avoid being destructive. If you’re looking to own a German Shepherd, make sure you are financially able to provide for its needs. Owning this active and highly intelligent dog will cost you around £2,000. When it comes to pet insurance, you will have to spend £22 to £85 a month. 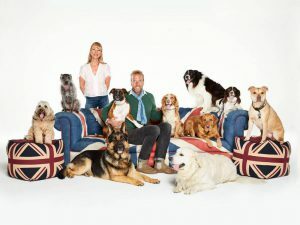 To keep up with the energy requirement of a German Shepherd, only buy the best quality dog food. This will cost you about £40 to £60 a month. Other costs to factor in are the basics such as a bed, collar, leash, regular vet exams and grooming services. German Shepherds are extremely intelligent, easy to train and obedient. It is a loyal breed, very protective and trustworthy. When well-trained, it excels in most physical and canine activities. It requires a higher level of commitment, hence ideal for experienced dog owners. It is not fit for apartment living. It tends to suffer from some hereditary health disorders like Hip and Elbow Dysplasias.